What a beautiful day for the wedding of Esther and Brendon at the Biltmore Hotel. 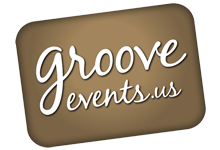 Groove provided Entertainment, photography, Lighting & Decor for the wedding. Thank you for the kind Review on Wedding Wire Esther! Much love, The team at Groove. It is so rare to find a company that can not only do it all but do it all extremely well. Joe and Marcia were amazing. Marcia is an extremely talented photographer and we could not have been happier. She was able to capture everything we wanted and to communicate to our bridal party and very large family where they needed to be for each picture. We couldn't be happier. Joe and his team did a beautiful job with the up lighting and the pin lights on our florals completely elevated the entire look. I have never been to a wedding where all the guests were on the dance floor for the entire wedding. The music was perfect! Wedding planning is stressful enough and the convenience of having everything you need through one vendor is a game changer especially with a team like Groove Events. I highly recommend them for your next event.